The funeral service for Lucine B. Reed, 85, of rural Racine, MN will be at 11:00 A.M. on Friday, January 18, 2019, at Zion Lutheran Church in Stewartville, MN with Rev. Byron Meline officiating. Burial will follow at St. Johns Evangelical Cemetery in rural Pleasant Valley, MN. Mrs. Reed died on Sunday, January 13, 2019, of natural causes at Fieldcrest Care Center in Hayfield, MN where she had been a patient since September of last year. Lucine Beverly Cuffel was born on March 13, 1933, in Rochester, MN to Homer and Maybelle (Skanson) Cuffel. She grew up in Rochester, attended school there, graduating from Rochester H.S. in 1951. She was employed as a secretary at Gopher Welding in Rochester. Lucine was married on June 13, 1953, in Rochester to Eugene L. Reed. Following their marriage, the couple lived in the Marvale Addition in Rochester and then rural Rochester before moving to rural Racine in 1964 where they raised their family and have continued to make their home. Lucine had a long secretarial career including a number of years at First Bank in Rochester as the bank President’s executive secretary. Gene was a longtime farmer and was employed at IBM in Rochester for 34 years. 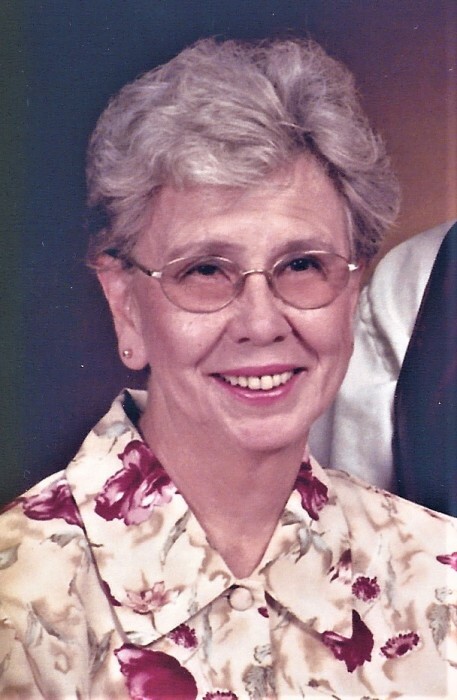 Lucine was a longtime member of Zion Lutheran Church in Stewartville. She was an active member of the Stewartville American Legion Post 164 – Ladies Auxiliary serving as President and secretary. She was a member of the Minnesota chapter of PSI – Professional Secretaries International, serving as state President. She was an active 4-H mom for her kids. Due to her love of horses, the family were active members in the Rochester Riders Saddle Club. The Reeds have raised horses and rode as a family since their children were young. After their retirements they spent 2 months in the summer, for 8 years, as camp hosts at French Creek Horse Camp at Custer State Park in the Black Hills, SD. Lucine was an avid sewer and knitter, enjoyed trips with Gene and her family, gardening and canning. She enjoyed visiting with friends and loved time spent with family, especially her grandchildren and great grandchildren. Lucine is survived by her husband – Gene; 3 daughters and 1 son; Rebecca (Curtis) Kuecker of Rochester; Roberta Beaver of Racine; Holly (Kelly) Carlson of Savage, MN and Michael (MaryAnn) Reed of rural Racine; 11 grandchildren and 3 great grandchildren; 1 sister – Sally Larsen of Preston, MN and a brother – Loren (Kathy) Cuffel of Clinton, AR and nieces and nephews. She was preceded in death by her parents, a brother and sister-in-law - Tom and Muriel “Ann” Cuffel. A time of visitation for family and friends will take place from 5:00 P.M. to 7:00 P.M. on Thursday, January 17, 2019, at Griffin-Gray Funeral Home in Stewartville and 1 hr. prior to the service at the church on Friday morning. Arrangements are with Griffin-Gray Funeral Home. Condolences and memories of Lucine are welcome at www.griffin-gray.com.